Hundreds of families are expected to visit the University of Southampton as it hosts Science Week 2004, starting on Saturday 13 March. A programme of exciting fun-packed activities is planned to show the impact science has on our everyday lives and introduce children to research projects going on at the University. Dr Gill Reid of the University's School of Chemistry said: "Our objective is to show the children how science impacts on our everyday lives, and most importantly to allow them to experience some of the fun, excitement and challenges it offers." One of the highlights of Science Week 2004 is the Family Science Day being held on Saturday 13 March. Demonstrations and hands-on experiments for all the family such as 'Science of Slime' will take place with experts on hand for advice and help. A full programme of science talks and shows such as a 'Light Express Laser Show', 'Impacts From Space' is also planned. A series of evening lectures take place at the University the following week, from Monday 15 March. Topics presented by speakers range from volcanoes to sea level changes and all talks are aimed at a level suitable for a general audience. Another highlight of Science Week 2004 is Ocean and Earth Day being held at Southampton Oceanography Centre on Saturday 20 March. The event is based on a number of themes including global climate change, underwater engineering, rocks and fossils and the activities will be suitable for both children and adults. Dean of the Faculty of Engineering, Science and Mathematics, Professor Joe Hammond commented: "We hope Science Week 2004 engages the interest of the next generation of scientists and engineers and really shows them how science can be demanding, exciting and fun." Science Week 2004 brings together staff and expertise from the University's School of Chemistry, Physics and Astronomy, Biological Sciences, Mathematics, Nursing and Midwifery, and Southampton Oceanography Centre. All events and activities are free and require no booking in advance. Held at the University's Boldrewood Conference Centre on Bassett Crescent East. 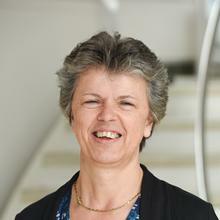 Professor Gill Reid’s research focus on transition metal and main group coordination chemistry is motivated by both fundamental studies of new ligand types that explore the influence of new metal-ligand combinations on properties and reactivity, as well as more application driven targets, that include developing tailored precursor complexes for depositing inorganic semiconductors (using chemical vapour deposition and electrodeposition) and new metal fluoride scaffolds for medical imaging applications. Southampton Oceanography Centre is a joint venture between the University of Southampton and the Natural Environment Research Council. It is a centre of excellence in marine sciences, earth sciences and marine technology.